A meditation courtyard with a reflecting pool. An open-air yoga studio hung with silken hammocks. A medicinal garden planted with calming herbs. It may sound like a tour of an ashram, but these are some of the features that mark a trend in luxury real estate: the mindful mansion. “Mindfulness is paying attention—it’s being present in the moment. 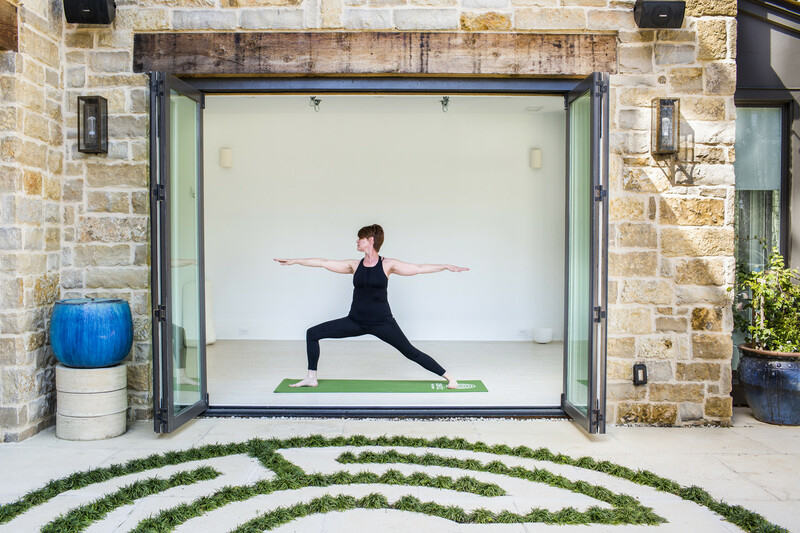 When you build and design a house, you can design it in a way to cultivate mindfulness,” said Jeny Mathis, who created the gauzy yoga studio for her home in Chattahoochee Hills, Ga., about 30 miles outside of Atlanta. Ms. Mathis, 46 years old, who teaches aerial yoga, often starts her day in a hammock, meditating. The path to inner peace may lie in the right amenities, or so the rising popularity of wellness real estate would suggest. Upscale home buyers are demanding eco-sensitive homes built with natural products—and opting for interior design that incorporates nature to reduce stress and promote mental clarity. To lure the enlightened buyer, luxury developers are offering morning yoga, mindfulness coaches and meditation chambers with ergonomic cushions. “It’s not just about physical health, people are also thinking of how our space affects us emotionally,” said Katherine Johnston, senior research fellow at the nonprofit Global Wellness Institute, who headed a study that tracked the expansion of the wellness industry into the real-estate market. In Palm Beach, Fla., sales have begun at the Amrit Ocean Resort and Residences, set to open in 2019. Buyers of the 182 “wellness residences,” priced from $700,000 to over $4 million, can opt for heated reflexology floors, circadian lighting systems and vitamin C-infused showers. Dilip Barot, CEO and founder of Creative Choice Group, Amrit’s developer, said every homeowner will be matched with a personal wellness consultant to advise on mindfulness, sleep and relaxation—as well as fitness and nutrition. A large communal meditation room will offer chants via headsets, and cushions designed for extended periods of sitting. Walden, a 600-acre “nature-focused retreat” on California’s Monterey Peninsula, is being pitched as a place where Silicon Valley elite can escape their screens and cultivate mindfulness. “It’s like Thoreau going into the woods to find peace and quiet—you think a lot differently when you are sitting under a 200-year-old oak tree,” said Nick Jekogian, Walden’s developer. The undeveloped lots, which average 20 acres and have ocean views, are $5 million each; buyers are urged to spend a night or two in a sleeping pod to experience the landscape before building homes. The Mathis’ home in Georgia, completed last year for about $1 million, was the first to break ground in Mado—a new wellness-focused neighborhood that is part of the Serenbe planned community. Its centerpiece is a medicinal garden—a 1-acre “food forest” with edible native plants. Next year, a naturalist will lead workshops for residents on how to use its St. John’s wort and other plants for homeopathic remedies and tonics. To create her home, Ms. Mathis and her husband, Gil, 47, a real-estate agent, turned to Wellness Within Your Walls—an organization that offers guidelines on building practices that reduce contaminants, and certifies products low in toxins, including paints, textiles and formaldehyde-free doors. The house has large windows and high ceilings for maximum airiness. “Being able to see green from every window—it’s fascinating to me how that really does impact your mood and well-being,” Ms. Mathis said. Other design elements are more subtle, such as the use of one soothing color for the walls and trim rather than contrasting shades, to create a sense of continuity and openness. 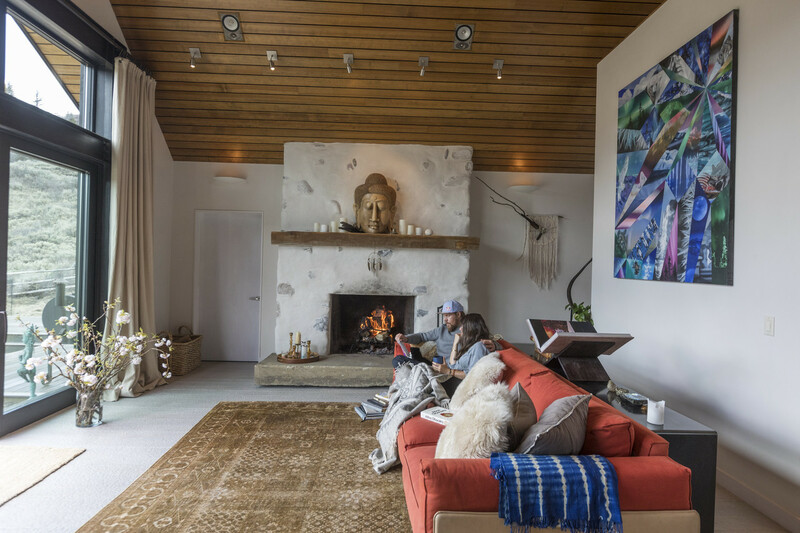 Evan Mack and her fiancé, Travis Rice, took their mountain home in Jackson Hole, Wyo., down to the studs for a complete mindfulness makeover that cost $1.2 million in 2015. They worked with Veronica Schreibeis Smith, whose Vera Iconica Architecture firm specializes in “wellness architecture,” to replace varnished knotty pine paneling with walls of earthen plaster and baked steel. The white oak floors have been pocked with dents and ripples to provide some of the stress relief of reflexology, hitting pressure points on the foot. 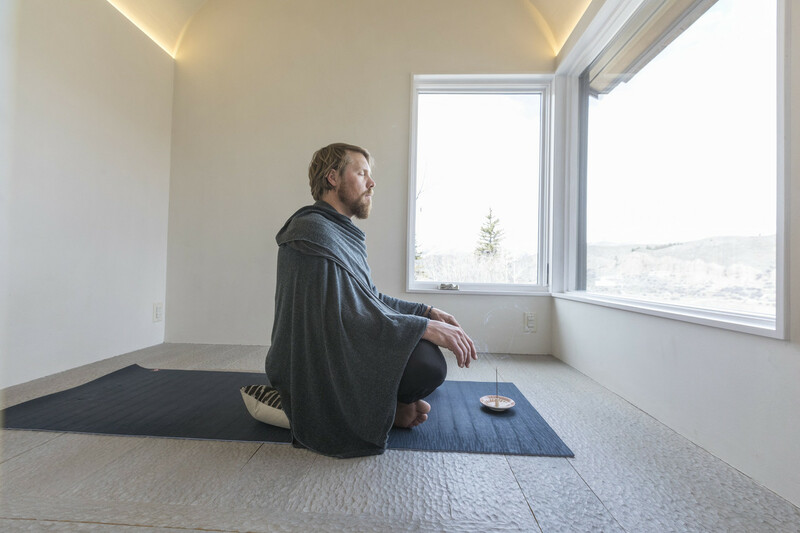 Ms. Mack and Mr. Rice, 35, a professional snowboarder and filmmaker, can meditate, practice yoga or nap in their Japanese-style tea room-—a former vestibule transformed into a cozy space with a barrel-vaulted ceiling and a heated floor. The tea table is on a winch so it can be lowered out of the way. “That was designed as a space for introspection—it’s all about holding you and nurturing you,” said Ms. Schreibeis Smith. At Lake Nona, a 17-square-mile planned development in Orlando, Fla., about 1,000 residents are active participants in a long-term study on health and well-being conducted by the Lake Nona Institute, a nonprofit established by the community’s Tavistock Development Co. in 2010. Free yoga classes are offered in a Lake Nona park, and integrative-medicine advocate Deepak Chopra led an open-air guided meditation last year that drew hundreds of residents. A customized version of Dr. Chopra’s health and wellness app, Jiyo, designed for Lake Nona residents, will be launched in June. Natalia Foote, 37, moved to Lake Nona with her family in 2015 and one year later became a yoga teacher. She and her husband, Mike, 36, a lab-services salesman, built a bright blue home for $451,000. The couple, who have begun meditating since moving into the community, are members of the Lake Nona Life Project, which tracks health and wellness through biannual surveys. At Lake Nona’s Golf and Country Club, Pam Merle and her husband, Didier, a partner in a satellite broadcasting company, designed a walled meditation garden with a reflecting pool just inside the entrance of their 9,000-square-foot home. Their 2.4-acre property also features a swimming pool, a lap pool and a hot tub. The Merles, who have a 17-year-old son, have put their home on the market for $4.5 million but plan to stay in the community. The 1,900-square-foot meditation garden is peaceful, with travertine floors, palm trees and a screened ceiling to keep out bugs. The dark-bottomed pool is filled with circulating saltwater. “We wanted to have a more quiet, secret spot where we could be more solitary—we liked the idea of meditation,” said Ms. Merle, 52, who sits on a cushion near the pool for an early morning moment of mindfulness. “It can be used as a party space as well,” she adds.